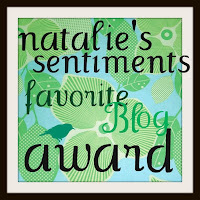 The Best Home Design Blog goes to Just a Girl. Always redoing her own house, she inspires me to try simple methods to make my house more lovely. The Best Cooking Blog. I awarded this to two blogs. First to La Tartine Gourmande for the most gorgeous culinary creations. Every once in a while I really want to experiment in the kitchen, and this is where I head for inspiration. Second is Saltbox House Cooking Exchange. 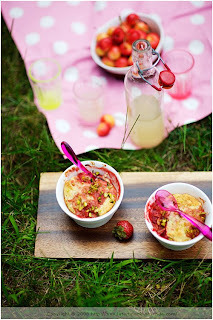 Reading this blog is like a mini food course, and everything they make is great for feeding a family. I make almost every recipe they post. Best Giveaways. Grosgrain. I think everyone knows about this blog by now. Kathleen creates the most sublime clothes, frames them in breathtaking shots, and then gives them away. Currently, I want to win this contest for Lydia. Best Inspiriaton blog. oh, hello friend. 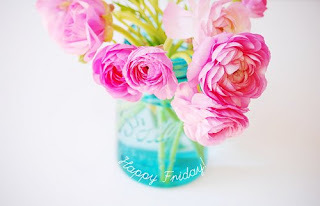 Written by a graphic aritst, this blog is full of craft ideas and design tips. It is also just about the most beautifully designed layout as I have ever seen. Best "Brighten My Day" Blog goes to pretty good. Every day Mary posts a cheery photo from her life. No matter what, I visit this blog daily. It never fails to make me smile. Best "Just for Fun" Blog. snippet and ink: daily wedding inspiration. Maybe it is just that I like weddings, or maybe it is because I really do believe in true love, but there is something about seeing how people celebrate their special day that tends to make mine. Best Mommy Blog. Classy Chaos. I first put this blog in my reader when I saw that the author, "OHmommy", called herself a Stiletto Ho. I thought to myself, she and I could probably be friends. Make sure to check her out. Her commentary on motherhood is priceless. Best Overall Style. a room somewhere. Everything Leslie posts is lovely. Her style is impeccable. Whether is is a fabulous couch or a delicate necklace, I am always smitten. Again, she and I should be friends. So there you are. My favorite blogs. For the winners, feel free to add this award button to your sidebar if you like. Thank you for all the reading bliss. This was such a great idea. I'm always looking for new blogs to read! Thanks for sharing your favorite ones. I hope you have a nice Monday. This is really a great idea. And my guilty pleasure is awkward family photos. How funny is that site? and my award for introducing you to texas natalie is where???????!!!!!! I don't know how I missed this pot. You are too sweet. I am so not up to par with all of those other food blogging gurus' out there. 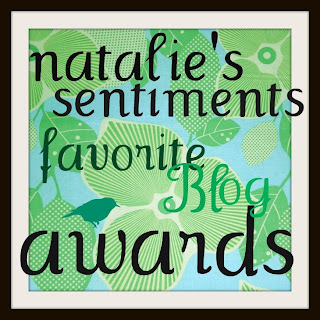 I think your just being nice because your my cousin ;) So, can I put your Natalie's Blog Award button on the blog, it that how it works. I still don't know if I am a real blogger yet. Let me know. The word pot was supposed to be the word post. Just to set that straight.